Listen: there is magic in music. S.A. Patrick helms an electrifying tale of one boy, accompanied by his two, very special friends, pitched against a truly malevolent evil - the Piper of Hamelyn. Ten years on after the dreaded Piper of Hamelyn incident, young Piper Patch Brightwater finds himself on the run from a prison sentence for innocently playing a forbidden spell. Accompanied by Wren, a girl cursed to live as a rat, and Barver, the fire-breathing dracogriff, the fleeing Patch suddenly finds himself pitched against the malevolence of the Piper himself. 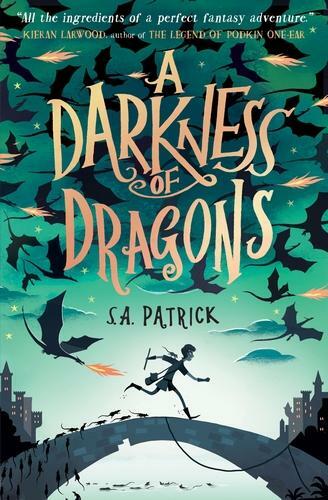 Expect high-octane adventure as S.A. Patrick's children’s debut assembles a truly inspired fantasy world of dragons, magic and the sheer power of music, perfect for fans of the younger Terry Pratchett series.